Every year we cover the IFA Trade Show in Berlin. A journey complicated by need to carry a lot of equipment and having a team member whose travel is restricted following a car accident. To that end we normally travel by a car usually taking an SUV, MPV or Cross-Over to carry the equipment. Something with a reasonable size engine which can utilise the higher speed limits in Germany whilst providing a reasonable comfortable journey. Due to our team member's injury we have to break the journey with 8 hours in the car (even with breaks) being about the maximum they can endure. Last year we took the train from the UK to Berlin but that proved very restrictive in luggage handling with some connections involving sprinting to catch a train - not very appropriate for our team member. A few weeks ago we covered the FullyCharged Live event and whilst I am very optimistic about Electric Vehicles one of our crew who is sceptical felt that we wouldn't be able to make the journey to IFA in an electric car as it would take far too long to stop and charge. We were then challenged to do just that. So this year we are going to travel to Berlin using almost exactly the same route and stops as on our previous journey but using an electric car. Our sceptics main concern (I have to say at the moment I am in the minority in believing this challenge will be easy) was the extra time charging would introduce. At the moment Electric cars do take longer to charge than Fossil Fuel cars will take to fill at a petrol station but in reality most current owners charge overnight at home on their own AC charger. This can take a full night for a full charge but for the average UK commuter just a few hours to top up the distance from the day before. Almost all EV(Electric Vehicle) owners I have spoken to see this as a huge advantage as opposed to having to go out their way to filling stations. Every day they get up and they can drive where they want to go. If you can't charge at home or on a longer journeys you can use public chargers these can range from fast AC chargers (which aren't really fast but can charge at around 3 times a home charger) to Rapid Chargers which use DC and charge at 50kW (7 times a 7KW home charger) and soon a lot higher. There are two main varieties of DC chargers: Chademo as used by most Japanese manufacturers and often found with Leafs or Outlander Plug in Hybrids attached or the EU mandated CCS system as used by most European manufacturers including BMW, VW and soon Jaguar, Audi and Porsche. The final type of charger is Tesla's Super chargers which under ideal conditons can do 120kW (17 times a 7Kw home charger). One thing to note the old 80/20 rule really applies to charging. That is the last 20% of a task often takes 80% of the effort. Because of battery chemistry charging to 80% can be relatively quick but charging to 100% can take a long time. Most EV owners I know only charge to 80% on rapid/super chargers which is good trade off between range gained and time spent charging. So taking that into account what range would we need in our battery? I've looked into our previous journeys and except for one mad 3 and half hour dash of 210 miles (the dash was the last half hour in France with the rest through Belgium/Dutch roadworks being mostly at a crawl) to make the channel crossing, we normally drive for no more than 2 hours at a time covering an average distance of 120 miles and a maximum, on one lovely clear German autobahn, of 175 miles but that was exceptional and to be honest exhausting for the driver. In terms of size of vehicle the EGolf might have worked but with a real world 90 to 95 mile range it wouldn't quite cut it without feeding the beliefs of the sceptics. Now although there are longer range vehicles coming very soon at a lower price range most today are quite small cars. The Renault Zoe (although surprisingly spacious) or I3 were not going to fit us and our equipment all in. We did think about a Hyundai Kona with its 300mile range but unfortunately this is not yet available in the UK. Their Ioniqs are great but very rare to find. We were hoping to try a Jaguar iPace but the UK delivery of those is delayed. We could have just fitted in a Nissan Leaf but we were aware in its current incarnation the problems with multiple rapid charges due to its lack of active cooling may have impacted us. For those not in the know and very simplistically as batteries get hot they are less efficient and can become challenging to charge. Each rapid-charge heats the battery therefore in the new Leaf Nissan have slowed charging on repeat rapid-charges on the same journey - much to upgrading Owners dismay as the older model did not do this. This so called #RapdGate would have potentially severely slowed our journey and more importantly given unreasonable ammunition to the sceptics. To be fair I've spoken with many Nissan Leaf new model owners who never need to rapid charge in their daily lives just charging overnight and absolutely love the car. Now I think next year we will have a huge choice of vehicles to chose from but this year we were a bit restricted especially in terms of ones we could rent. Which left us to the company most people tend to associate with Electric Cars... Tesla. When I mentioned this to the team one of the petrolheads immediately brought up how the original roadster had run out of juice on Top Gear. Now three things on this... 1; that was Top Gear of the time being Top Gear of the time and trying to dramatise, 2; battery tech has moved on a long way and 3; one of those roadsters just drove from the UK to the Arctic Circle successfully. Anyway a roadster old or new gen was out of the question (a Zoe has a lot more space) so the choice came down to a Model S or X (the Model 3 may well have done if it was available but sadly they are not in the UK yet) Seating wise we decided the 6 seat Model X works best for us and whilst it is not specifically an advantage of the Electric car having AutoPilot might make the journey less stressful. Also with the tesla we could go for Air Suspension which might help our colleagues back. So with our sponsor recommending a hire company we have now got a Model X 90D for the journey. 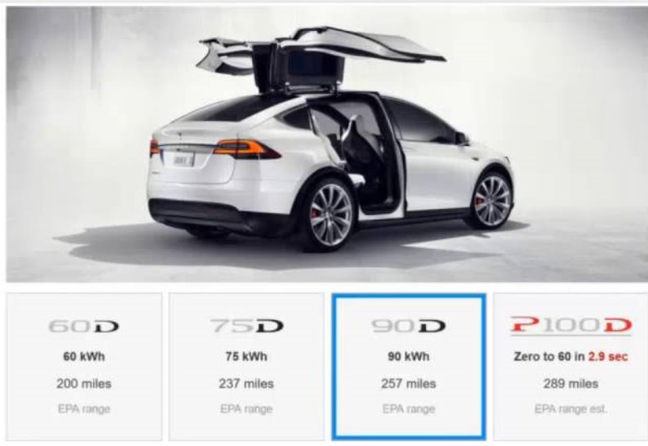 For those not in the know that is a 90 kiloWatt Hour (abbreviated as 90 kWh) battery with dual motors. We decided not to go for a performance model as whilst playing with Ludicrous mode acceleration might be fun it wasn't the point of this journey and not going for a P100D saved a lot of rental costs. Now going with the Tesla brings one huge advantage Supercharging. Our rental Tesla comes with unlimited free Supercharging. Now officially if you buy a Tesla Model X or S now you don't get this, and only get a certain number of kWh of charge before having to start paying, but if you know another Tesla X or S driver you can ask them for their referral code which will still get you this huge perk. The Model 3 when it comes out doesn't have this advantage and will incur charging fees but my understanding is this will not be too expensive and certainly cheaper than petrol cost for the same distance. In terms of cost this free supercharging is huge - basically the whole trip (other than perhaps one overnight charge on an AC charger) is not going to cost us anything in fuel hmmm energy. One thing the Model X did do was slightly change our stopover point plan. Where we had stayed in Ghent on our previous trips had a width restriction and the Model X is pretty wide vehicle - too wide for that restriction. To be honest though although we normally try to stop in the same places each year we do adjust to get the best deals. I think for this challenge, therefore, it is not unreasonable to adjust the stops slightly as long as they are fairly near where we normally stop and don't change the number of days we take to arrive. More of the planning next chapter. Next chapter - planning the trip.